A month or so ago, I wrote the following article for the IAAPA Family Entertainment Center newsletter FunExtra. A few people have asked me about the topic of mystery shopping lately (especially given my new partnership with Amusement Advantage) so I thought I would run the article here as well. Enjoy! Secret shopper reports do not want to end up living in a drawer. Unfortunately, that’s where many spend their dying days, mostly because we could be too busy to squeeze all the great information out of them, or we just don’t know how. On behalf of all of the secret shopper reports out there, that stops today. In this article we will discuss the report itself, what to look for and what to do with all that information. We’ll also focus mostly on the employee side of the coin. If a shopper says there is missing paint, there is missing paint – not a lot to discuss. It’s the far more complicated world of employee behavior that I think trips most of us up. For a manager or leader, the heart of the secret shopping experience is the report. That’s what you signed up for – to get this unbiased account of how your facility and employees are performing. You now have a tangible representation of how your business is seen by someone you don’t know. If you care at all about your guests’ experience, this is powerful information, and it should be taken with a few considerations. The report is a snapshot. Each report covers the events of one day, and individual reports should be viewed as a starting point for determining the best actions to take based on the needs of your company and employees. You and your staff still need to observe on your own, using the shoppers report to supplement what you’ve seen. Also consider that as objective as secret shoppers are, they are still human beings. They still have opinions, feelings, and previous experiences that guide their assessment of your facility. This is not to say that we should discount them for this reason at all. If anything, this support the role of the report as a snapshot. All of your guests are different, too. So a non-shopper guest might interpret a situation differently than the shopper, but you will only get one piece of data. That’s why you still need to do your own homework. So you’ve got your report in front of you, now what? Later we will focus on actions you should and shouldn’t take based on a report, but even before that you have to know what data you have and what it means. Was this an isolated incident? Is this the first time anyone has mentioned Suzie being rude? Was there something going on that day that would have caused Suzie to be acting differently? Who was she working with? Were they people she got along with or not? This is just a small sampling of the kinds of information you would need to have to know what to do next. Policies – are there multiple people not following rules, or is it just one or two? Areas/departments – are there certain areas or departments that are performing consistently well (or poorly)? Comments – is there anything similar (in tone or content) in the verbatim comments that can give you more insight? To this point, you have probably seen that it takes more than just a quick read-through to pull out all of the pertinent information. But that is a necessary component of the process, in order to be able to take the right actions. Looking at the situations above, what do we do about Suzie? I think we discuss the report with her and ask her about her side of the story. It’s very dangerous to reprimand based on the comments from the shoppers report. Since this is not going to be immediate feedback (given the time it takes to compile the report), it’s best to look at it as a learning opportunity, not a disciplinary action. On the other side of the coin, it would be appropriate to praise or recognize an employee’s performance based on the shoppers report. They still made a good impression, and the more that is acknowledged, the more likely it is to happen again. What if you notice that all the employees mentioned were not following a particular rule or procedure? That might be an indication that there has been a miscommunication about the procedure, maybe it just recently changed, or it’s something the employees don’t like doing. In all of these cases, it would take some investigation to find out what’s going on and why. One of the most important things you can do with the information in this report is to share it. Share it with your management teams, with your employees (as appropriate; be careful of negative or damaging comments) and get their perspective on the best way to either make things better or continue doing the good things you are already doing. Delegating or getting assistance with looking over the reports will not only ensure that you get the most out of them, it will also save the reports from living out their days in a dark and dreary desk drawer. No one wants that. I have a good friend who is in the process of buying a new home. The sale is almost complete, and he recently took an inventory of all the things that needed to be fixed or changed in the house when he moves in (there is ALWAYS something!). When looking at his list, it was clear that there were things that needed to get done immediately, and some that could wait. My friend is a bit of an over-achiever, so he labeled most of the 28 items as immediate concerns. Both fixing the cracks in the stucco and replacing a few window screens ranked as top priorities. His list got me thinking of all the rest of the the things we label “have to” versus “want to”, and it dawned on me that there are very few things we HAVE to do in life. Think about it. I HAVE to pay my electric bill. No you don’t. Of course your lights may get shut off, but you don’t HAVE to pay it. You WANT to pay it so your lights don’t get shut off. I HAVE to get to work on time. No you don’t. You might get in trouble or lose your job if it happens a lot, but you don’t HAVE to do it. You WANT to be on time so you won’t get in trouble or lose your job. As I was thinking through all these things, I realized how often we say “I have to”, but what we really mean is that “If I don’t want this negative consequence, I had better do it.” It’s the difference between: “I have to or else”, and “I want to because”. This leads us down an interesting psychological path. When we feel like we have to do something, it’s no fun, it’s difficult, it’s drudgery. When we do something because we want to, it creates a desire to succeed and a feeling of ownership. They may even be thinking, “oh, no I don’t”. And they are right! They don’t HAVE to do any of those things. You may think they have to in order to keep their job – but there’s that negative consequence again. In reality, you WANT them to do those things so your employees and guests will be happy and your company will make money. But they’re right. They don’t have to. So your challenge is to figure out a way to create an environment where they want to smile, make the right change, check heights, etc., because they know it’s the right thing to do. Most people, given the option, will do the right thing. Not because they have to, but because they want to. They key is that they need to know the options, the impacts, the effects, the outcomes… in other words – they need to know WHY! Knowing why can turn a “have to” into a “want to”. This weeks’ post comes from a good friend and colleague, Chris Harper (@thatChrisHarper). He’s got a lot of great ideas about how companies can improve the way they communicate, both internally and externally. Chris took a few minutes to share some of his thoughts… with more to come! We’ve all heard it. Many experts tell us that compensation and benefits are just not enough when it comes to job satisfaction. Instead, they say that things like good recognition are the most important to fostering a healthy work environment. Of course, we all know that no one factor leads to job satisfaction—there are several elements to a happy, productive employee. But have you ever considered that communication might also play a role? I believe that a strategic, well thought out internal communication plan for your business is vital to not only employee satisfaction but also your bottom line. Informed employees know about your product, ever-changing operational information and other vital information your guests or customers might need. But uninformed employees are left not knowing answers or, worse, making up their own answers. Not only will this misinformation lead to confused employees and customers, it very well could lead to an unhealthy working environment. That’s why it is important for managers to always keep communication top-of-mind. Better yet, building a formalized communication plan will help you to make sure that the right information is getting out at the right time. Just as you might spend time developing an extensive plan for communicating externally to the media or directly to your customers, time should be spent on an internal communication strategy will enable your employees to know what is going on so they can provide the best level of service possible. These can be physical tools (such as bulletin and dry-erase boards or handouts), electronic tools (such as intranets, social media and digital signage) or verbal tools (such as preshift meetings and supervisor/employee one-on-one time). Use a variety of vehicles to best meet differing preferences between your employees. Your content could include operations or procedural changes, guest or employee event information, safety reminders and guest service tips. Additionally, as you build marketing plans for new products or services, be sure your employees know the points you want them to hit when they are interacting with your customers. There are of course many more facets to a strategic communication plan, but these categories should get you started on thinking about your business’s communication. The good news here is that what I am suggesting is probably not going to take a reinvention of the wheel for you. You’re probably doing some of these things already. But I encourage you to start thinking about your communication and how the categories above fit together into a cohesive plan. In future posts, I will to walk you through that a bit—it’s not as hard as it might seem. I did it. I said I was going to do it, and I did it. On a recent trip to New Orleans for the World Waterpark Association Symposium, I took some time to head down to the French Quarter to go to Preservation Hall. This is a tiny little historic music hall that is home to the quintessential New Orleans jazz experience. I was there last in 1996, had a blast, and was NOT going to miss it this time around. So I went. Heard some GREAT jazz in an intimate setting, and along the way I learned a thing or two about listening. And it wasn’t just about how the audience was listening to the band, it was also about how the musicians were listening to each other. It made me think about how we may or may not listen to each other or our employees, but also what kind of great music we could make if we did. The really cool thing about Preservation Hall is that all of the instruments are acoustic. No amplifiers or speakers or monitors or wires or microphones. Just a clarinet, piano, sousaphone, trombone, trumpet and a drum kit. It was really cool to watch the interaction among these acoustic musicians, it’s an art form that is often lost in bands with enough electronic firepower to make the neighbors go deaf. What we saw were little head nods, a look, even a word or two between players. When the piano had a solo, the rest of band played softer. In the musical world that’s called dynamics. The volume swelled when it needed to and pulled back when it needed to. Sometimes various players would lay out (not play at all) to feature another member of the band. What did they do when laying out? They weren’t checking email on their phone, they were listening to the other players. At one point during a drum break, the sousaphone player closed his eyes and just bobbed his head to the groove. You could tell this was a group of well tuned (pun intended) musicians who understand that hearing what each other plays is as important as any note that they play. Let’s put that in our terms. Hearing what someone else has to say is as important as anything we have to say. Do you feel that way? Do you know people who seem to feel exactly the opposite… that anything they say is more important than what you say? These folks will typically talk over you, interrupt, or generally won’t listen. There are numerous reasons for this, and we don’t have space to Dr. Phil the issue. What I do want to emphasize is how YOU listen, since that is what we can control. Confidence – You need to feel good enough about your topic or position (and maybe your stance on it) to know that simply letting someone else share their opinion is not a personal attack, but just a difference of opinion. Another dose of patience can be inserted here as well. Focus – we’ve all seen distracted listeners. Eyes moving around the room, looking at their watch, can’t intelligently respond to your last comment or question. Don’t be that person. Avoid distractions and focus your listening attention and energy on the person speaking. You might just learn something. I’ve probably said this before but it’s worth repeating here. Studies show that being listened to is so close to being loved that most people can’t tell the difference. If that’s true, there was a lot of love at Preservation Hall that night. 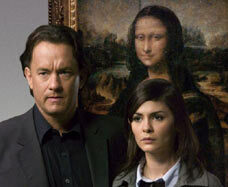 I’ll admit it, the first time I saw the DaVinci Code, I fell asleep. It was late, I had been at the beach all day, there were subtitles… you get the idea. Anyway, I never really understood the hype around this movie until recently when I watched it again, stayed awake, and was able to follow the story. Religious implications aside, I was especially intrigued by the last scene between Robert Langdon and Sophie, as Sophie was struggling with the news that she could be a descendant of Jesus. Asking what she should do now, Professor Langdon simply said, “it all depends on what you believe”. I think that is an important life and leadership lesson, no matter your potential blood line. If Sophie really believes that she is the last living descendant, she will certainly act differently than if she feels like this is all a bunch of religious mumbo jumbo. Don’t believe me? Look no further than the things human beings have done through the ages in the name of religion, politics, or even sports. People often have deep seated beliefs in these areas that ultimately guide their thoughts and behaviors. Do you believe that you are a good leader, or that your teams run amok no matter what you try? Do you believe that young people coming into the workforce are lazy and worthless? Guess what? Whatever you believe shows up in your actions. If you believe the young folks are lazy, then you treat them that way and go figure… They act that way. If you believe they deserve respect and compassion, they’ll respond to that, too. I can’t tell you how many conversations I’ve had with people who can’t understand why their employees are lackluster, yet when you talk to them about how they treat them, it’s typically reactionary to their belief that they are lazy and worthless. Do you see the cycle that is created here? Here is one of the problems. Beliefs don’t change easily or quickly. Many people look for undeniable evidence to alter their perception, but often their beliefs are so strong that they are not open minded enough to see it, even when it’s right in front of them. As a leader, this is where you need to LEAD! If you are waiting for someone to change who they are, get ready to wait for a long time. Instead, if you are willing to make the first investment of trust, respect, compassion and dignity, you will find that your story has a much different outcome. That’s why we are called leaders, not waiters. So I ask you again… what do you believe?